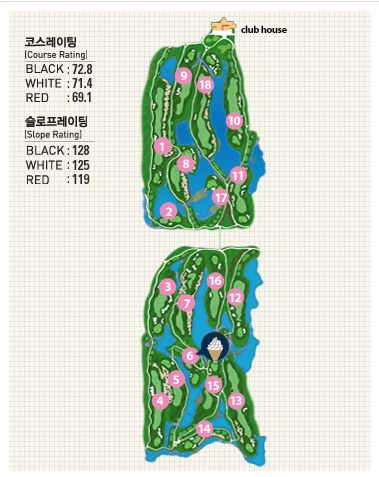 * According to the choice of course, the rate can be different. 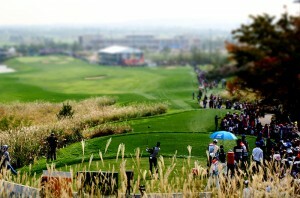 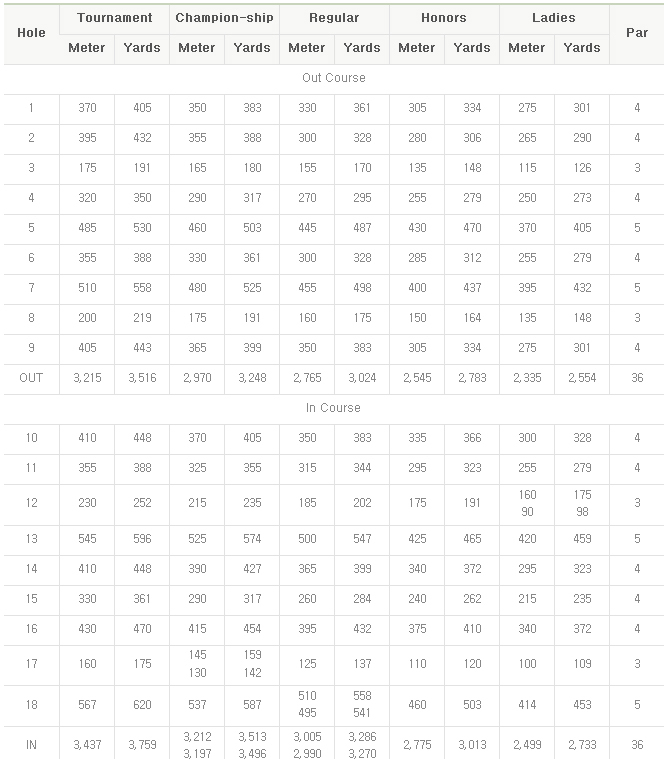 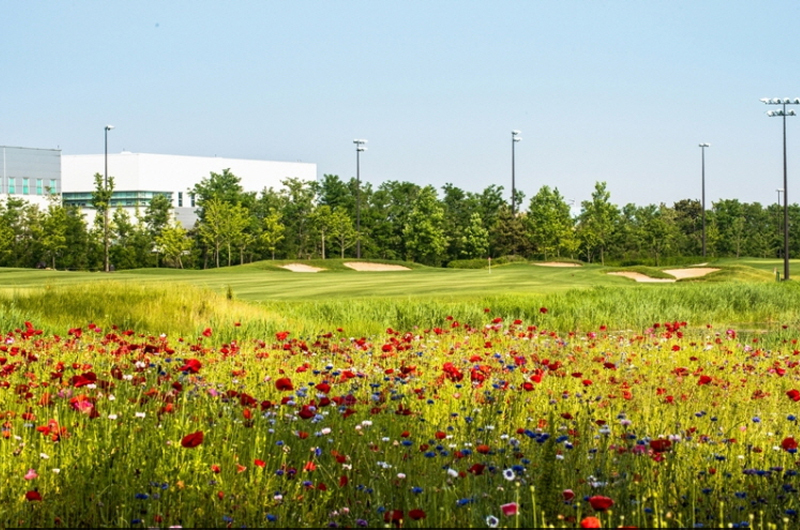 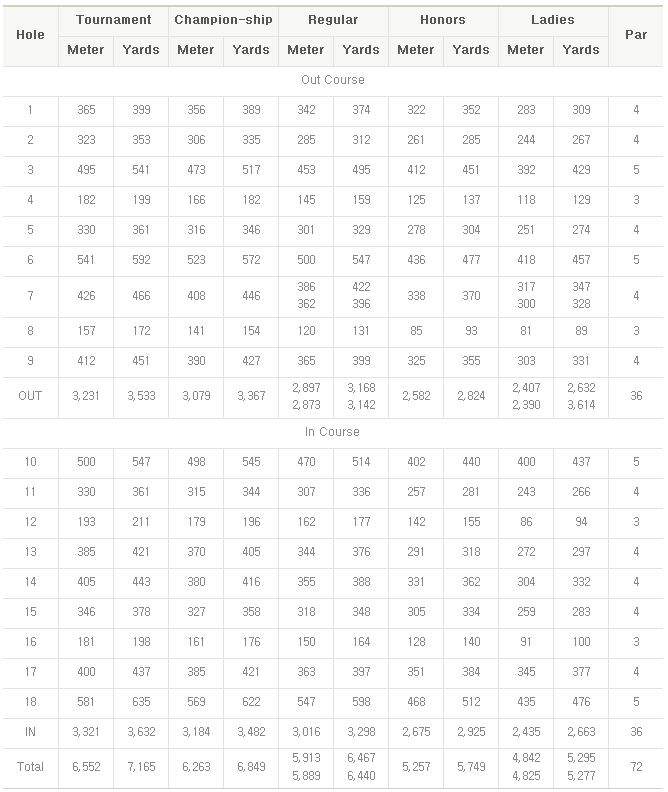 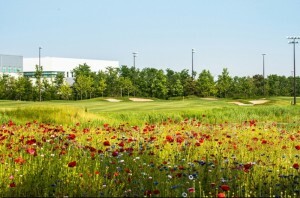 SKY72 is the largest golf course in northeast Asia located at Incheon Airport. 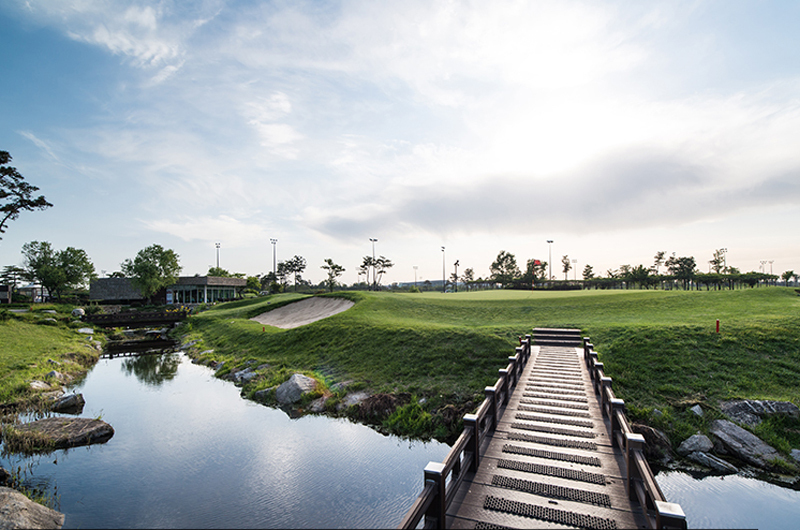 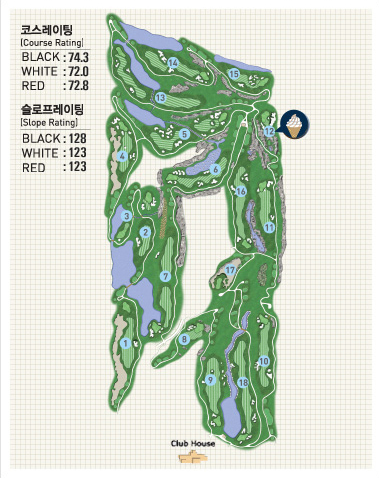 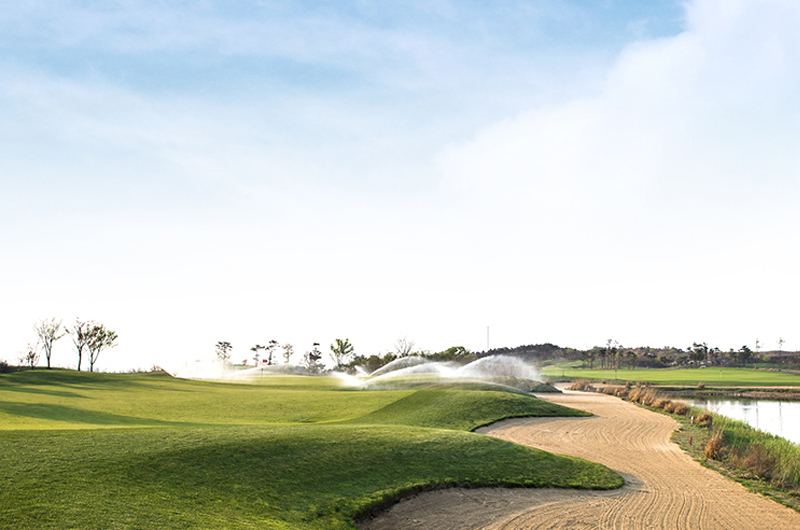 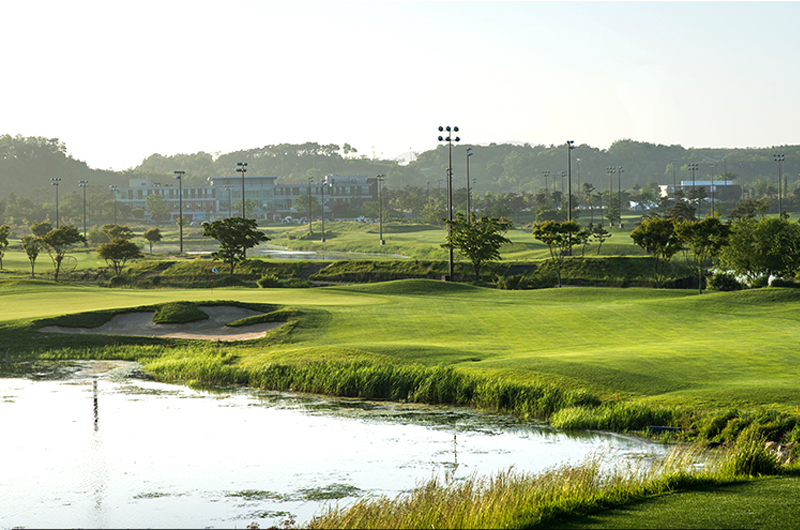 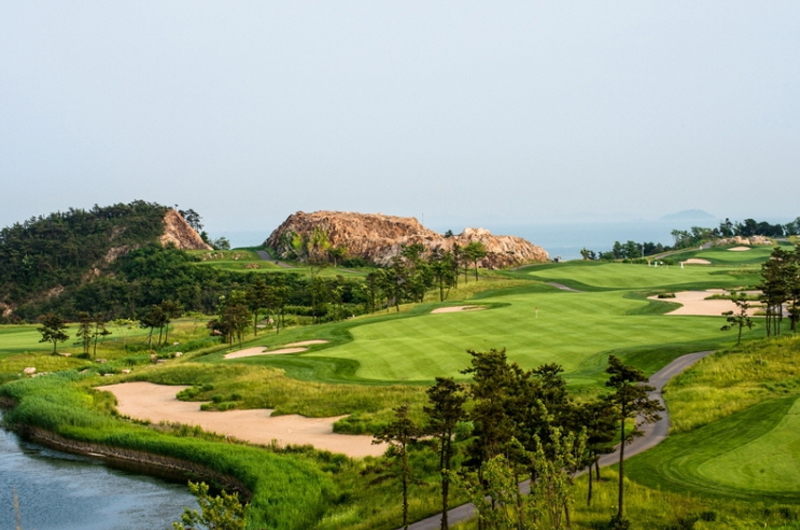 The size of the golf course is about 69,300 square meters including the Dream Golf Range, the 54-hole Bada Course, and the 18-hole Haneul Course; totaling 72 holes. 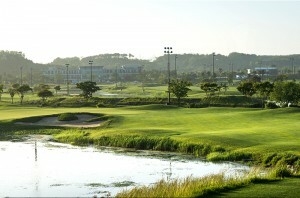 The Bada Course is a course where you get a full view of the ocean. 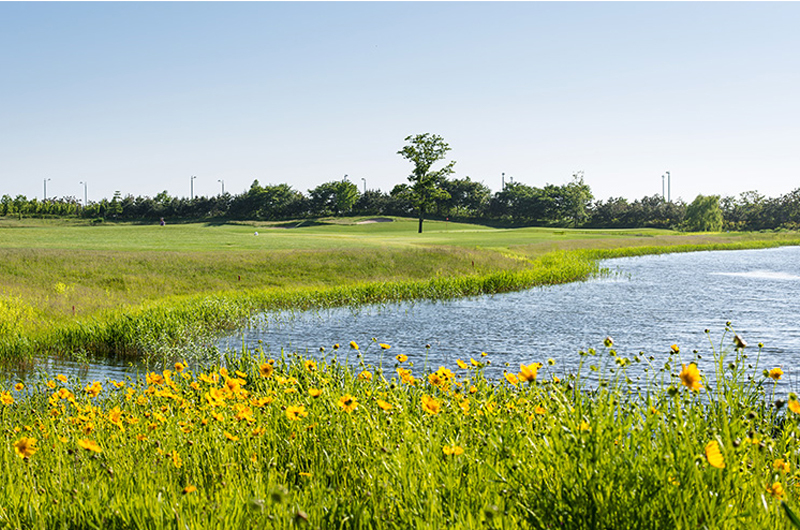 This lake course has a lake and a marshy area. 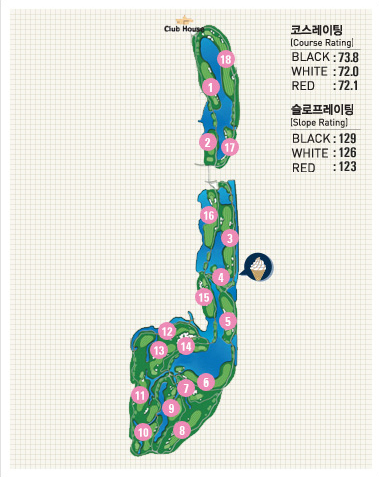 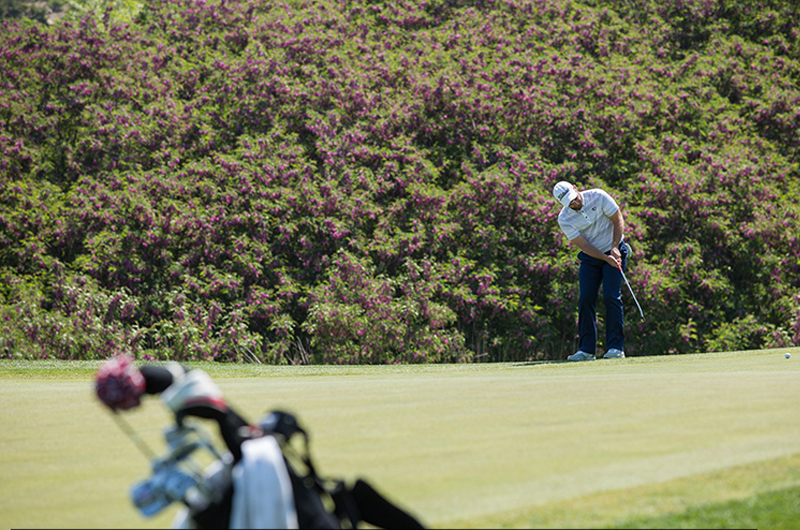 The Haneul Course offers a rock hill course, which is beautifully decorated by natural cliffs, mountains, and valleys. 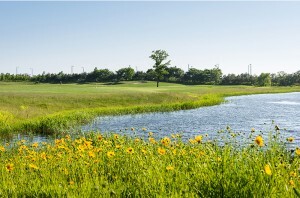 Each of the courses has its own unique beauty and characteristics, so golf players may choose the environment they desire to play in. 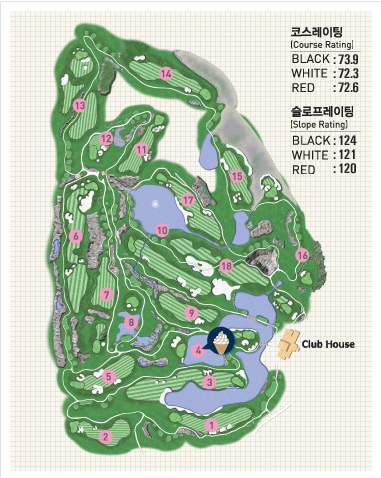 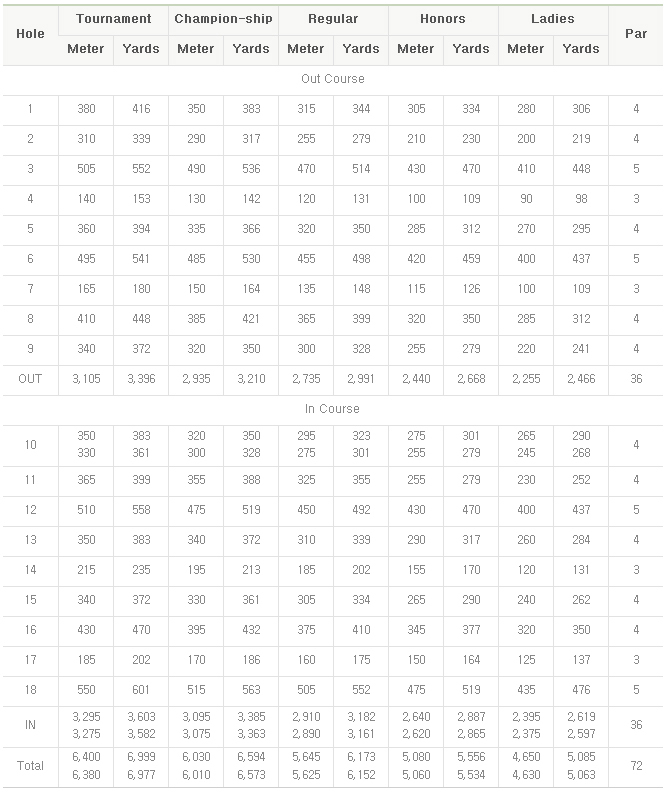 The round-shaped 300-box driving range is the world’s largest all-round practice range and was recorded in the Guinness Book of Records in May of 2006.